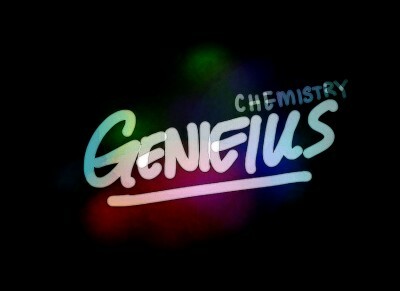 ManyTutors: Genieius Chemistry tuition (Upper sec/O level) Reviews. Book Online! A former student of Bukit Panjang Govt. High School & Anderson Junior College. I have just graduated from National University of Singapore with highest distinction (1st class honours). I was from the faculty of Science and was one of the top student in my faculty, having been placed on the Deans List (awarded to top 5% of the students) multiple times. I am also a scholarship holder and was within the top 5% of the O Level cohort in 2008. I graduated in 2018 with highest distinction (1st class honours) in life science. Ex MOE teacher. I specialize and have been teaching O Level/IP/ A level Chemistry for 6 years now. I have taught students of varying aptitude, ranging from those in normal academic streams to those from elite schools (Hwa Chong Institute, Raffles Institute, Nanyang Girls School among others). I have had previous stints as a teacher in secondary schools as part of my scholarship internship attachment program. I was a subject specialist tutor at various tuition centres. I am well versed with the latest syllabus and will prepare my students well for the national exams. I have encountered numerous students who struggle with Chemistry. They find it difficult to get their desired grades . For some getting a pass becomes a challenge. Getting the student interested in the subject will go a long way in aiding their understanding of concepts, thus making learning more enjoyable. Under my tutelage, I am certain that my students will be infected with the zeal and passion for the subject. I am able to simplify complicated concepts into simple ideas for students to appreciate and apply, thus making learning easy. Insofar as the student is willing, I am confident in improving the student's grade, as most, if not all my students, have shown significant improvement in their grades (Click ​HERE to see my student's feedback). Students who are willing to work with me and work hard are the ones that show tremendous improvement. I believe that understanding is key to doing well for any subject. A solid understanding coupled with effective answering techniques is fundamental for obtaining an A. That, together with lots of practice, instant feedback and correction, is the perfect recipe for success. Past year papers and LOTS OF supplementary questions with solutions will be provided as a form of additional practice for students. With a newly found appreciation of the subject, understanding come naturally. Content mastery becomes a breeze, learning will never be the same again. Please choose one of the branches.